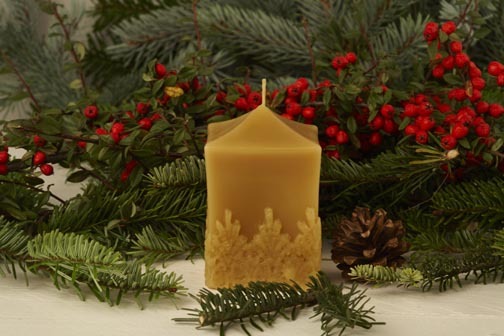 Hand poured pure beeswax candle 100mm x 60mm weight approx 290 grams. Made from beeswax produced by the bees in my hives. Surplus to their requirements. Add to honey order.